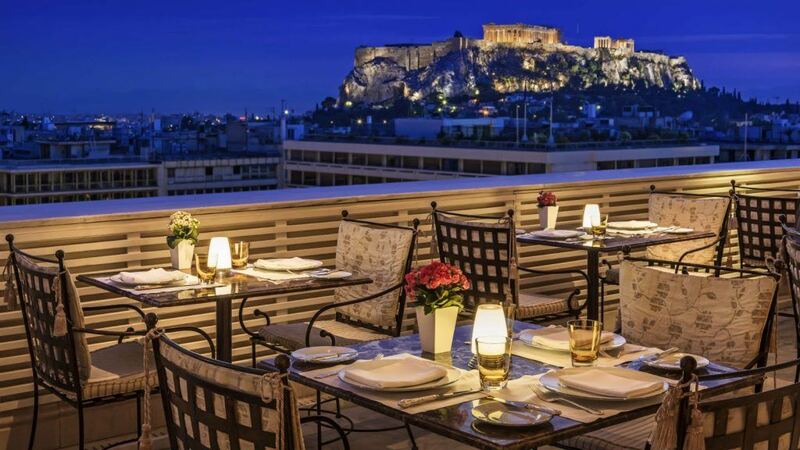 Luxuriate in one of King George’s spacious suites in Athens and enjoy unlimited opportunities for viewing beautiful sights of the city especially the fabled Acropolis. Founded in the 1930s, the iconic boutique hotel boasts an interior that was inspired by a mix of the era and the city culture. It features stunning classic decor with a modern touch evident in its highly comfortable beds and hard wood floors. 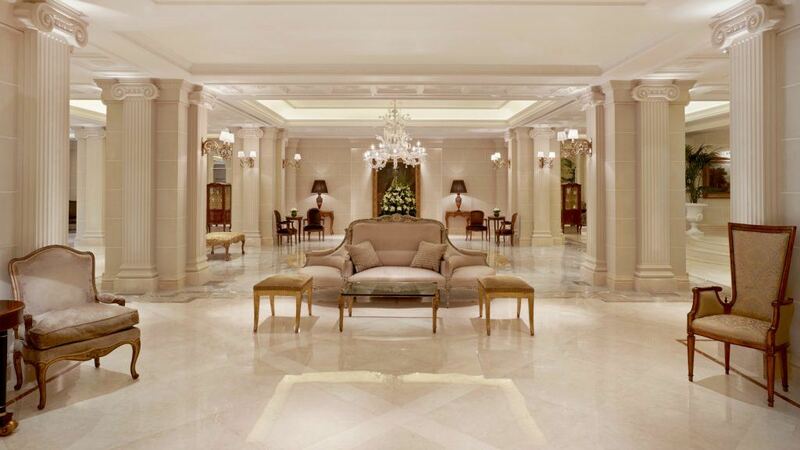 Choose among the 39 iconic luxury suites that the hotel offers. 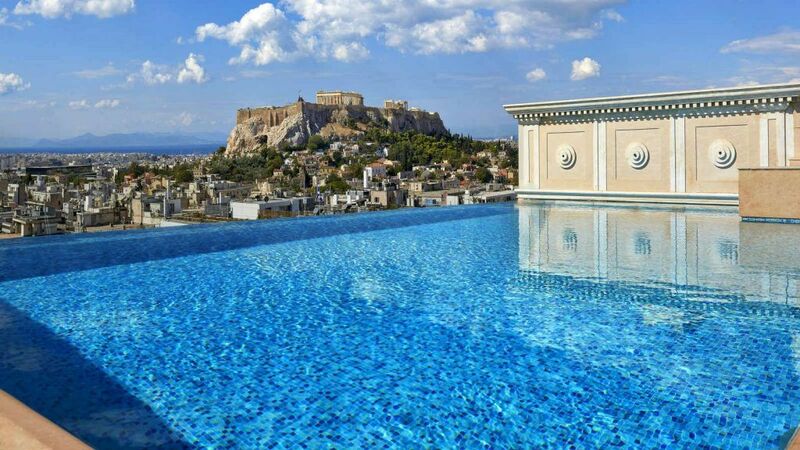 One of them is the Penthouse Suite which is the only one of its kind as it features a private outdoor pool that overlooks the famous Acropolis. Here, you can get sun bathed, absorbing the gorgeous views of the city while enjoying a sumptuous lunch with drinks to top it off. You may also enjoy equally stunning views at the hotel’s other unique suites where you can relish in high-end amenities and bespoke accommodation. There’s the Grand Suite featuring an immaculate white marble bathroom and a rainforest shower. There’s also the Executive Grand Suite with an intimate private balcony that allows you to spend some alone time or close moments with a companion. 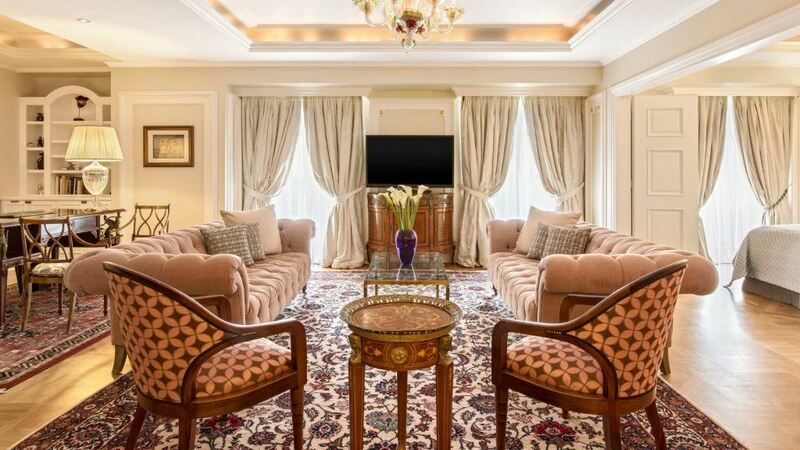 Whichever suite you choose, you are guaranteed the space, comfort, and luxury that the King George is best known for. 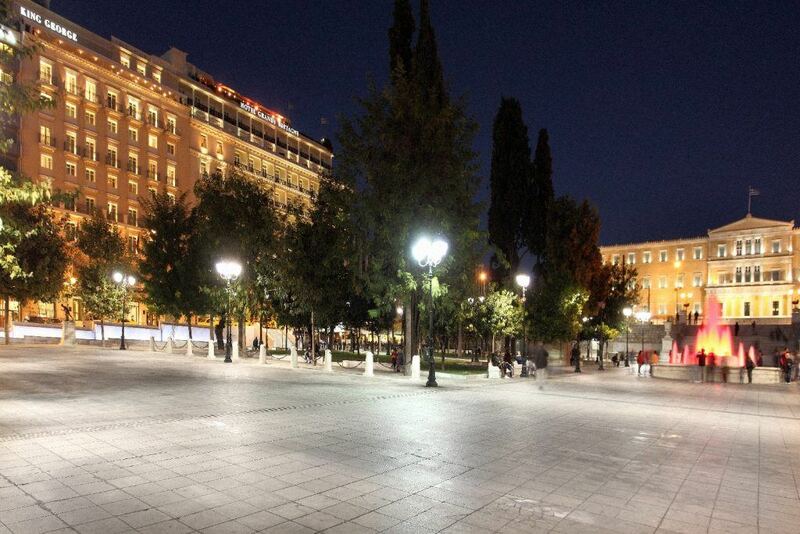 Located at the heart of the city, the King George makes for an ideal starting point for some shopping and sightseeing as it is walking distance to some of the prominent cafes, high end shops, and markets. You may also opt to stay in and appreciate the beauty of the pulsating city from the Tudor Hall Restaurant where you will be accommodated by the hotel’s professional staff. 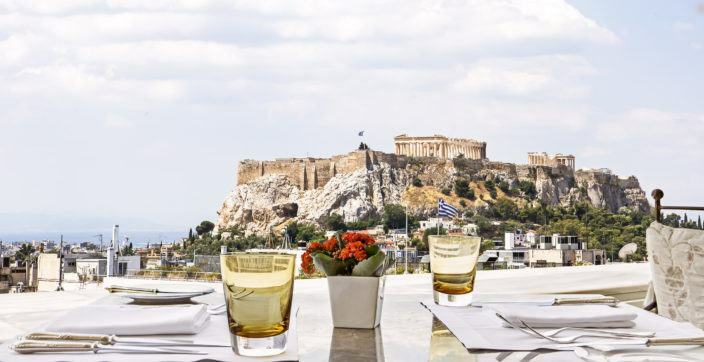 Try out the different authentic Greek seasonal dishes and don’t forget to take pictures to immortalize your experience at one of the best hotels in Athens, Greece.